It’s that time of the year Awards Season. 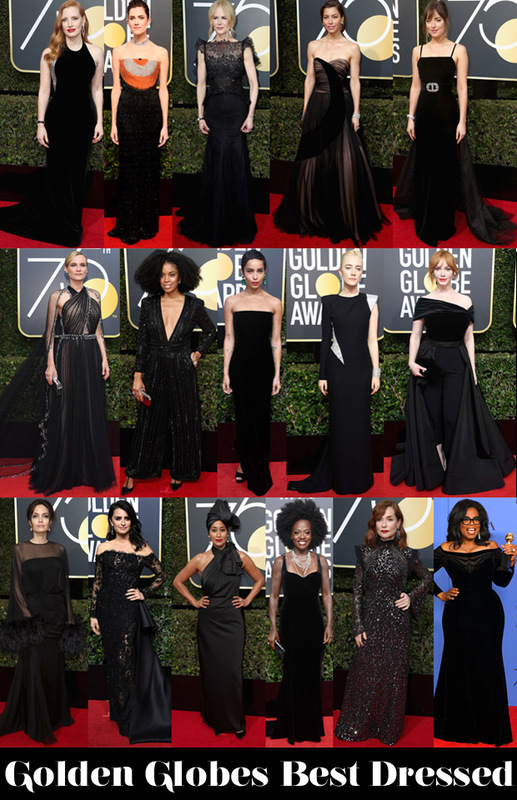 Actors and actresses at the 75th Annual Golden Globes on Sunday wore all-black in support of the #TimesUp movement against sexual harassment and the abuse of power in Hollywood. Despite the lack of bold color, performers stood out by choosing unusual silhouettes, statement jewelry, or unique textiles. 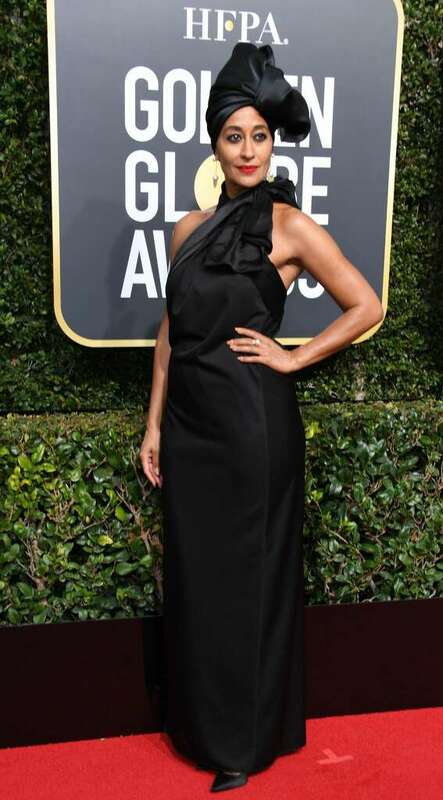 Totally agree that Kerry Washington and Tracee Ellis Ross deserved to be on this list. I was actually underwhelmed by Angelina Jolie. I think Gal Gadot also looked incredible in her cropped tuxedo jacket and gown.